How can I play different Mini-Games? Hidden around SqwishLand are several dozen mini-games and missions that will aid you along your way in uncovering SqwishLand’s secrets. You must first discover their location and if you meet the level requirement, you’ll unlock the ability to play that game anytime, anywhere! 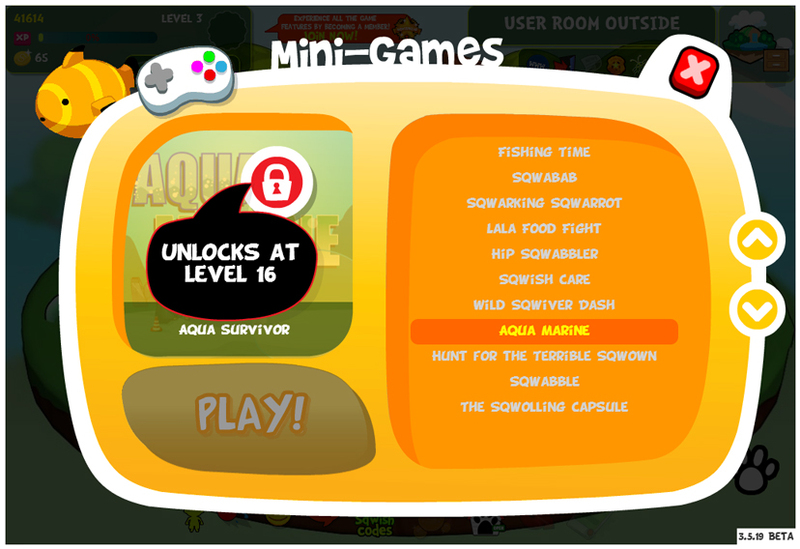 Just click on the Mini-Game Controller icon in the top-left corner to access all the games you’ve unlocked! Playing mini-games isn’t JUST about having fun – it’s also a great way to earn some extra Sqwash and SqwishPoints to aid you in your quest!